Peter A. Lowy, a shareholder in Chamberlain Hrdlicka’s Houston office, is best known for his tax controversy work and deep experience in the energy sector. He also advises corporations and other taxpayers in a broad spectrum of industries on tax compliance issues, tax planning, and risk management. He regularly works with the Internal Revenue Service and the Texas Comptroller’s office on a wide range of matters. During his career, Mr. Lowy has been responsible for over 100 tax cases that have cut across many types of taxes. This includes U.S. federal income, excise & employment taxes. It also includes the following state and local taxes (SALT): income, franchise, sales & use, severance, motor fuels, and property taxes, as well as other types of ad valorem and specialty taxes. Disputes Mr. Lowy has participated in include ten cases with amounts in issue exceeding $100 million each, and two cases that exceeded $1 billion in issue. He also served as lead attorney in structuring several complex transactions including a multi-billion dollar, cross-border deal in the energy sector. Dedicated throughout his career to pro bono work, Mr. Lowy devotes substantial time each year to represent underprivileged taxpayers. A leader in the pro bono field, Mr. Lowy is a past chair of the ABA Tax Section's Pro Bono Committee and coordinates a pro bono program for the U.S. Tax Court. In 2003, his work with disadvantaged taxpayers earned him the ABA Tax Section's Pro Bono Award. In 2015, his pro bono work earned him the Access to Justice Award from the New York State Courts. Mr. Lowy is also a former chair of the American Bar Association Tax Section’s Energy Tax Committee and of the American Bar Association Tax Section's Committee on Court Procedure & Practice. Mr. Lowy is currently on the Council for the American Bar Association Tax Section. 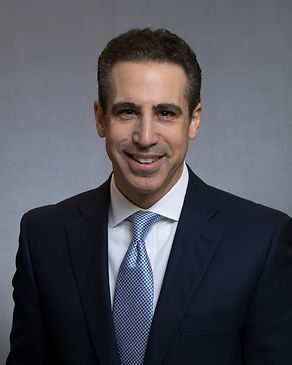 Mr. Lowy is an adjunct law professor at the University of Houston Law Center, where he teaches Tax Controversies, and is widely published on tax audits and litigation-related subjects. Mr. Lowy earned his LLM in Taxation from New York University School of Law, and his JD from Tulane Law School. Following law school, he clerked for a United States District Court and served as an attorney-advisor to the United States Tax Court.